After 15 years, starring as a college goer felt different. I felt ten years younger and it was good fun on the sets. The poster of 'Kadhalil Sodhappuvadhu Yeppadi'. It began with a short on YouTube. 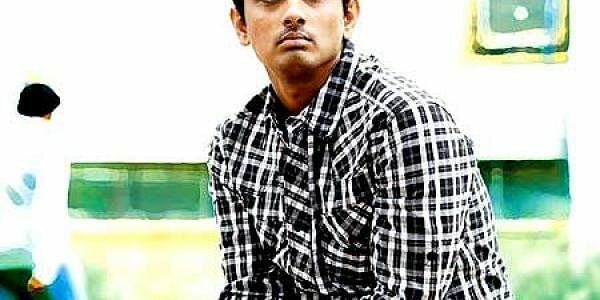 Two years ago, Siddharth watched ‘Kadhalil Sodhapuvadhu Yeppadi’, a nine-and-a-half minute film about a college student, and enjoyed it, never expecting to play the protagonist at a later date. That came about when the film’s young director, Balaji Mohan, joined hands with co-producers Nirav Shah and Sashikanth Shivaji and approached the actor for a full-length feature. Siddharth not only agreed to the role but produced the film with them. We spoke to the actor about the experience, his views on remakes in the industry and more. How different a love story is ‘Kadhalil Sodhapuvadhu Yeppadi’? It is a modern college rom-com, with a unique narration pattern. Is there a story behind the unusual title? Sodhapal is a term used by students on a regular basis. Even if we had named the movie ‘10 steps to succeed in love’, or ‘10 steps to fail in love’, it wouldn’t have been as attractive as it is right now. Very sub-urban in nature, the name does absolute justice to the content. This isn’t your first role as a college student, but it is for Amala Paul, your co-star. After 15 years, starring as a college goer felt different. I felt ten years younger and it was good fun on the sets. When it comes to Amala, we have been lucky. She is a hardworking, young kid who does not need much work on her expressions. Her face can convey a story. We wanted to finish the movie in a very short while (eight months) on a moderate budget. It was quite a task finishing both the Tamil and Telugu versions within that time frame, but it gave us consistency at work and our energy levels were always up. Your 11-year journey in the industry? I feel exactly the same as I did in the beginning. There is no job security. When I have a project in hand, I work 24 hours a day. Otherwise, we literally have to go out looking for work. With the Academy Awards coming up, your pick of films to watch? I love watching these award functions because the way they are staged is completely marvelous. I think the silent film, ‘The Artist’, would sweep all the awards because it is an appealing and daring effort. Even Martin Scorsese ‘Hugo’ has a good chance. They are both classics and make me nostalgic. I have never done a remake but I will be breaking this rule for David Dhavan. He is remaking ‘Chashme Buddoor’ and I will be in it.